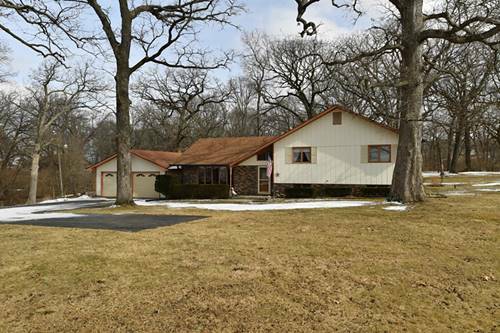 This home is located east of Grant Park near Minnie Monesse Golf Course. 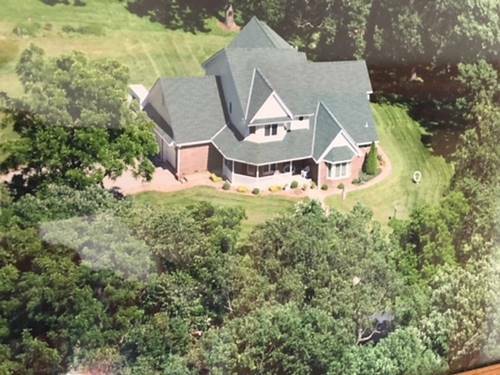 This 2 story home was built in 1994 on 5 acres of heavily wooded land that is beautifully landscaped and maintained. The home includes 3372 square feet of fully finished interior with custom carpentry throughout. The main floor has an open concept with 17' vaulted ceilings that lead to the 2nd floor large balcony overlooking the foyer and great room. 1st floor rooms includes 2 car garage, master bedroom, master bath, living room, great room, dining room, kitchen with breakfast bar, recreation room, laundry room, powder room, and an additional full bathroom. 19X14.6 Master bedroom features bay window, walk in closet and an additional closet. 14.10X9.7 Master bath has granite counters, jacuzzi tub, and separate shower. 18X11.10 Kitchen features granite counter tops, newer appliances and breakfast bar. 21X16 Great room includes 17' vaulted ceilings with large windows, hardwood floors, and custom bookcases. For more information about 7223 N 16000E, Grant Park, IL 60940 contact Urban Real Estate.